Merry Christmas, The King is born! We wish you a New Year full of the peace of Jesus Christ, the Messiah. May He continue to guard your heart and bless you with a renewed and deeper understanding of a reconciled relationship with Him through His Son. 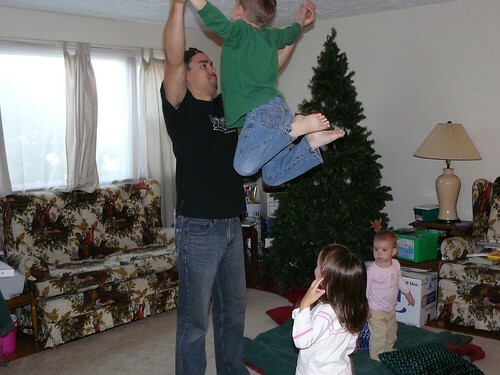 Above: Benjamin and Elianna with cousins, RJ and Anna B. Above: A loud room with many "whoahhs!" and "oohhhs!" 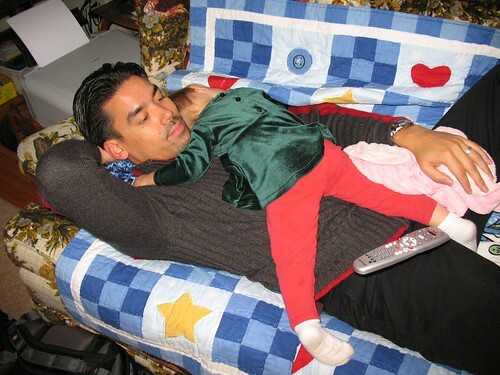 Above: Baby Kira taking a nap with daddy. It's been an eventful few weeks as we celebrated Jesus' birth in the US with friends and family. This is one of the things we miss while being overseas, and we cherish the time we have and our children have with those we love. About a year ago, the team Julie was serving on asked our church planting team how they could help in spreading the gospel throughout our target area. We suggested a Christmas play that would be 'mobile', so that we could present the show in multiple areas in the North Eastern area of Hungary where we are located. Since the core of our church planting team is already involved in multiple outreach ministries in December, we don't have the resources or the time to organize such a Christmas Musical. Since we were not directly involved in the performance, but rather in the background helping, the Christmas musical allowed us to have more time to interact with attendees and also perform follow up. In years past, this was a challenge, as we were so involved in outreach that we couldn't mingle and interact with those we invited. The numbers of those who attended the Christmas musical were truly amazing. To put things into perspective, four years ago we hosted the Jesus Film and passed out over 4000 Gospel of Luke booklets with an invitation to the film. Out of the 4000 invitations to various villages and small towns, there were 15-20 people that came to the showing. In contrast, the Christmas musical was promoted through posters and word of mouth in the same area. Over the course of three nights, there were over 230 people that attended. This has allowed us to develop many new relationships and get the word out about our local church. Our vision is to initiate and facilitate evangelistic and discipleship ministries that empower Hungarians to lead a dynamic church planting movement. I believe this Christmas Musical has opened up a new opportunity for us to penetrate surrounding villages and share the gospel. It has also enlivened local Hungarian members of the church to get involved in ministry with their various giftings. After members of two other communities saw the show, they have invited us to their own towns to present the Christmas Musical in January and February. Although Julie will not be available, she has spoken to the the Hungarian cast and crew and they have agreed to continuing this outreach. Movement is happening and the gospel is going out. We praise God that what began with a conversation months ago, has been brought to fruition through those God has called to make it a reality. Praise the LORD. 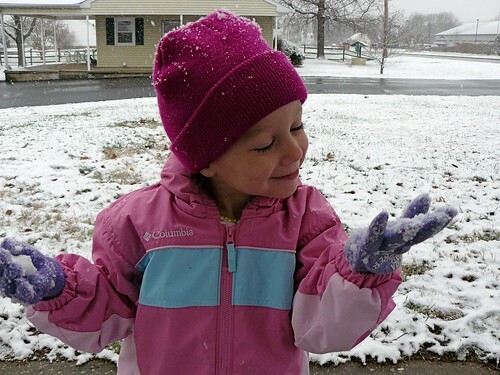 Praise the Lord for this news that we hope is true in multiple families throughout Hungary! We went to a school in Heréd where we are warmly greeted and respected every year. The same was true this year. The children answered the questions surprisingly well. This was the second school where we asked the question, "What gift did God give to us?" based on Romans 8:32. The answer was not just His Son Jesus Christ, and life, and love, but everything that we need! Hallelujah! Praise the LORD! We were greeted with the same warm hearts in Hatvan at Bajcsy Preschool. The kids were peeking in with excitement as we set up. Unfortunately, we had many technical difficulties and trouble with the puppets because we are worn out. Miki is also sick and Csaba wasn't feeling great either. Please pray for our health. Even still, the preschool teachers said, "The kids didn't notice any problems, it was a great show for them!" 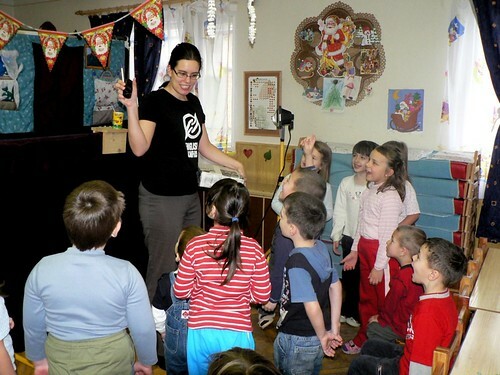 We went to PetÅ‘fibánya's preschool where kids are always interested and make sure to thank us for coming. 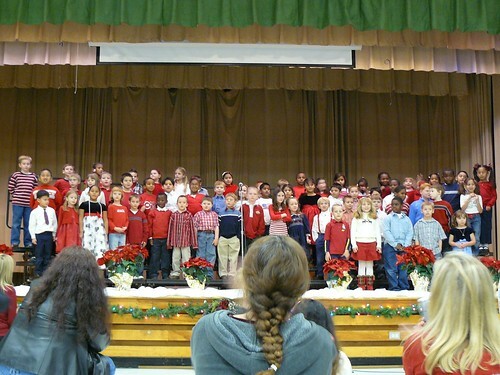 Unfortunately 26 kids and 4 teachers could not come because of a Christmas show that they had prepared for the same time. Those who did see the show said, "It was GREAT!" 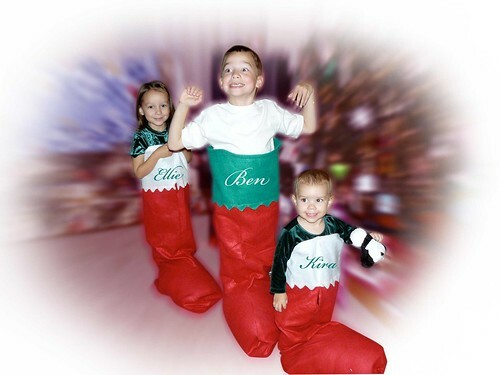 When the angel first appeared, the kids shouted out, "Look! There's the angel...there's the angel!" After this, we went to the town of LÅ‘rinci. The kids did amazingly well behaving and paying attention. The teachers faces were full of smiles at the end of the show. The doorkeeper was glad to help us. We hope that everyone's hearts were struck with the good news of Jesus Christ. I the afternoon, we traveled to Selyp, being invited by Feri, the pastor of the Baptist church in that area. They were passing out gifts to the poorer children and we entered to offer them a surprise puppet show. The Mayor seemed to enjoy the entire show. In the end, he asked what kind of training we had. I saw love in the eyes of parents and children alike. 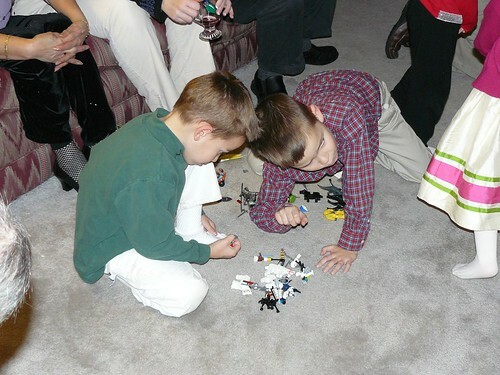 I pray that their Christmas would be one spent with God. This is our last day of puppets. We were refreshed and cheerful as we began our journey to a new place (Szirák) that we had just been invited to this week. This was the first time a puppet team (with the gospel) entered their town and they really enjoyed it. About 95% are Roma (Gypsie) and were ready and willing to lend a helping hand to us glad to help. They listened closely and truly contemplated what they heard. In the midst of the show we overheard a kid say, "Are those puppets there?" Another replied, "Of course, don't you see the stick in his hand?" We burst into laughter behind the stage. Behind the scenes, Miki spoke to Hugi and said, "Hey, look at me!" 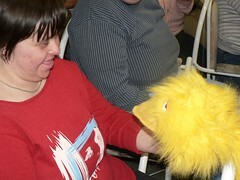 Hugi looked at Miki, but Miki was actually telling her to direct her puppet to look at his puppet. Hugi's puppet continued to stare into space, but Miki didn't give up. Whispering behind the scenes, Miki said, "Look into my eyes!" This time it worked. The headmaster said that they it was only because of us that they chose to celebrate and meet in the community center this day. They were thankful we came. A young man said that he would love for us to come to his town of Vanyarc-we'll see if we can make that happen in the future. We performed our last show of the year in the town of Selyp. Some of the kids already saw the show, since they came to the charity event that we attended yesterday. We asked them to join us in singing the songs while we taught the other kids. As was customary, we ended our time by celebrating with lunch and discussed what we saw that was encouraging and what we would like to do differently. Unfortunately, our teammate Brenda who is flying back the US could not make this time. Please pray for her because she is experiencing extreme back pain from a previous injury that has flared up. Hugi, was enthusiastic and tireless and remained committed in each mornings time of prayer. It was great to see her servants heart. Miki was the creative one, who held the team together, he sacrificed much to contribute time and energy to the team. 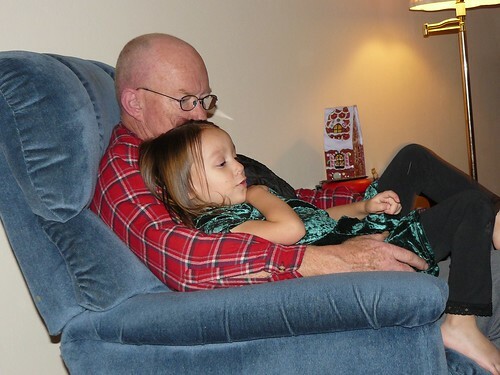 Csaba had a true servants heart and was a prayer warrior which was an encouragement. Csaba also stood with me (Janka) at home, not giving up even though he was sick. The team thanked me (Janka) for organizing the shows, the telephone calls and for tirelessly teaching Bible clubs in various areas we have visited. Thank all of you who have prayed and supported this ministry. May the Lord bless you and give you a peaceful Christmas. Above all, we give thanks to the LORD and we give Him praise for being with us. He truly went before us. Glory be to our heavenly Father! Over the past few months, Pioneers teammate Julie has committed her all to write, recruit actors and produce a Christmas musical to extend our outreach in PetÅ‘fibánya. From the beginning, she knew it was an impossible venture that would only come to fruition through faith in the provision of God. She stepped out in faith and continued to persevere after multiple setbacks that threatened the finalization of the musical. In the end, God was faithful and has used "An Underground Christmas" musical in a mighty way. Above: DezsÅ‘ (right with his daughters), viewing a practice and encouraging the actors who are all from Budapest. 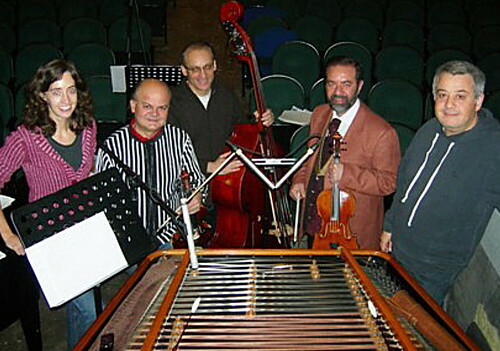 Above: The Hungarian folk musicians who did the recording for the musical: The instruments included: double bass, violin, viola, and cimbalom. “An Underground Christmas, A Hungarian Musical by Julie Barshinger. Story Synopsis: The story takes place in December of 1944 during the great battle over Budapest between the Russian and German armies at the end of World War II. A Jewish family hides from the Hungarian fascist soldiers who wanted to kill all Jews remaining in Budapest. The family flees to a bomb-shelter basement under the ruins of an abandoned house in the city, but a runaway Hungarian soldier discovers their hiding place when he gets wounded in the street and seeks shelter from the raid. A clash of fear and faith ensues as the action unfolds. The characters reveal their secrets through songs written in the Hungarian folk-style tradition. 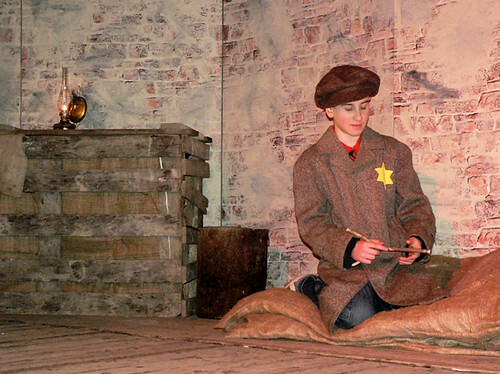 The musical ends on Christmas Eve when the soldier saves the lives of the Jewish family by giving up his own." Above: Many people from Pioneers and local churches helped with set, costumes, props, sounds and lights. They did an excellent job as you can see above. It is such a privilege to serve with so many people who pour themselves out to bring glory to God through their different giftings and talents. Thank you for praying for this musical that has helped us create new opportunities for evangelism and discipleship. 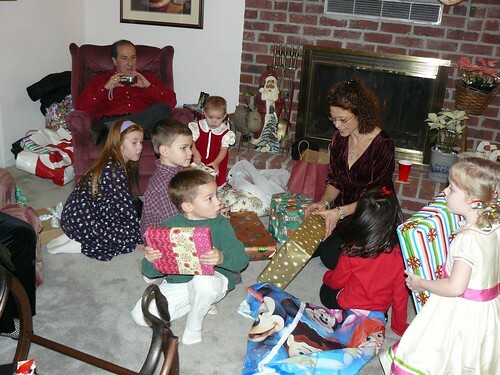 Various people from the town came such as the Mayor, the entire Retiree's Club, and the preschool teachers. There were many from neighboring towns that also attended which has opened up new doors of opportunity. Praise the Lord! Please pray for the actors who will do one more performance in Budapest on the 22nd of December. 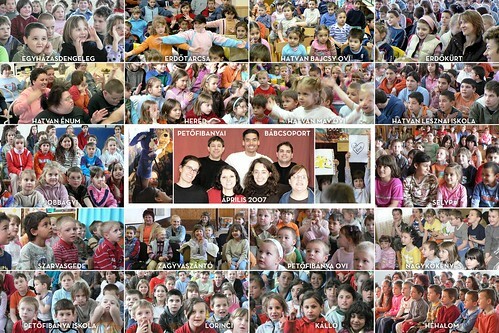 Please pray for the PetÅ‘fibánya puppet team who will continue ministering in various schools throughout this week. Our first destination today was a care center in Hatvan that ministers to those who are mentally handicapped. There were about 15 between the ages of 20 and 30 who attended. 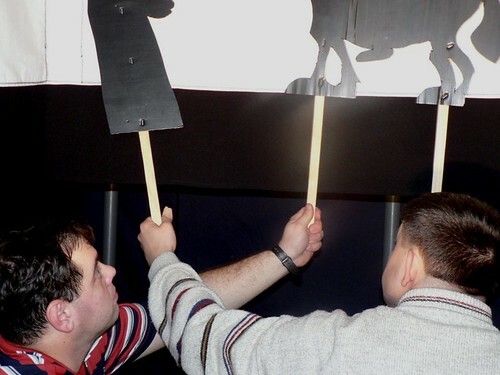 They were very entertained by the African ostrich puppet who always enquires, "What is snow, I've never seen it." 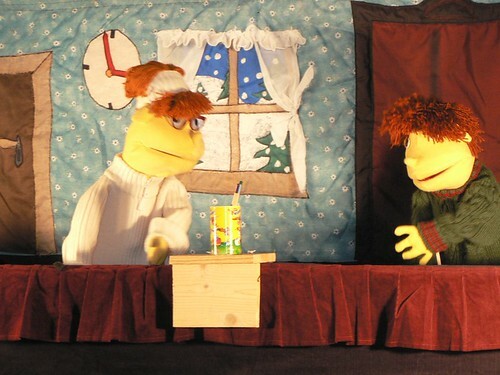 They also responded to various parts of the show when the puppets asked questions. Above: As a token of the care center's gratitude, one of the girls presented Janka with candy and a beautiful picture of a snowman. 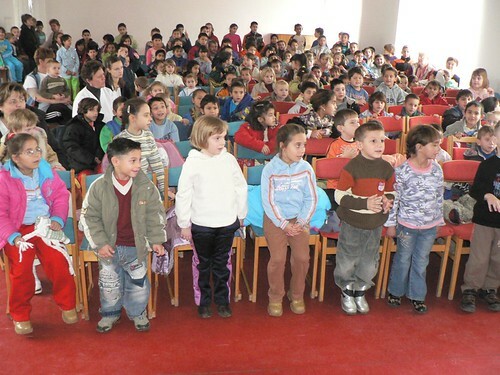 Above: 120 children were waiting at our second destination of Lesznai middle school in Hatvan. 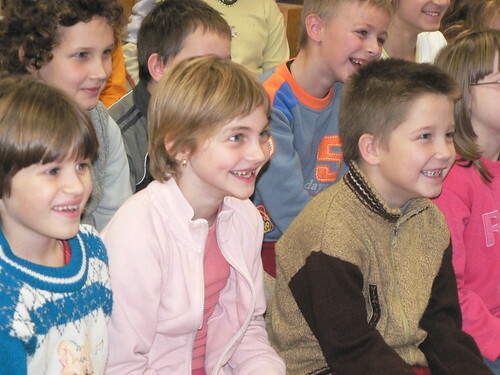 There are about 50 kids from Lesznai school that already attend a Bible study that Janka holds. These kids yearn for affection. This is a special school for kids who suffer from behavioral problems, some physically handicapped and some mentally handicapped. The older kids gladly helped us unpack. Before we started, I noticed a group of older kids who came into the gym causing problems. It was clear to me that they didn't believe in God. I was quick to say, "We brought these songs and this puppet show as a gift, and even if you don't believe in God, please respect others who want to pay attention and who want to sing songs about God." They were quite and payed attention, especially when we spoke about God's love, and how He is ready to forgive and help those in need. 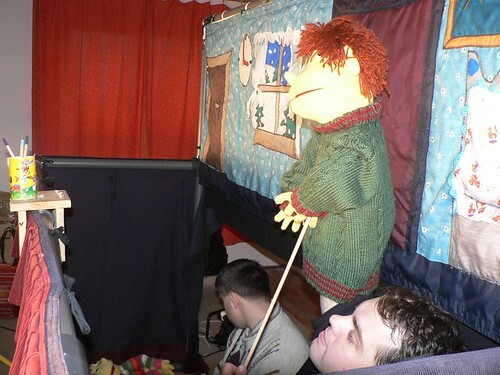 It made us giggle as poor Csaba in the middle of the puppet show had both hands raised holding puppets was struck with a terrible sneezing fit. In the end, the teachers were very thankful for the show. The students from my Bible class were sad as they said goodbye since we wouldn't be meeting again until next year. We met early in the morning at 6:45 today for prayer just before leaving. I was impressed by Hebrews 2:11-18 where Jesus is said to be the "merciful and faithful high priest" and where it is said, "I will be confident in him." They are always happy to see us in the village of Egyházasdengeleg. 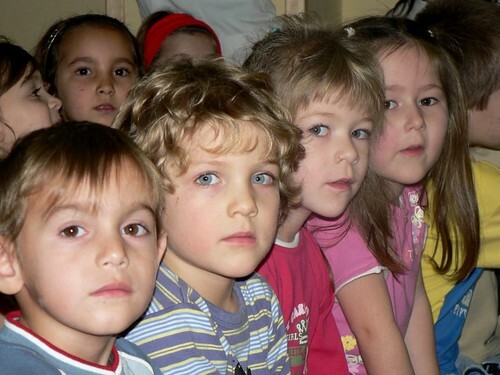 The school is actually for Slovakian children who now reside in Hungary. The staff and the headmaster (who is also the mayor) invited us for snacks afterward. One of the teachers began a long conversation about the differences between Baptists and Catholics. After some time we were able to direct her away from focusing on religious affiliations and rather ask if she was a follower of Jesus Christ. Please pray that these teachers come to know the living Christ. 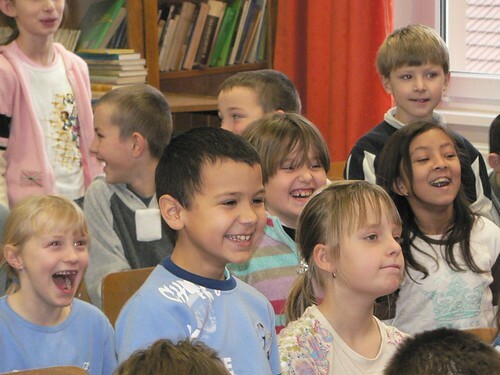 After Egyházasdengeleg, twenty kindergarteners received us with joy in Szarvasgede. Even as we set up the puppet stage, the kids blurted out, "oooo!" It was like they were watching fireworks. They gladly joined in as we sang and were full of laughter at the funny parts of the show. With the help of their teachers, the kids gave us small Christmas trees as gifts. We were told that they remembered last year's song from the puppet show also. Above: The free magazine we distribute after every puppet show that contains games, articles for family and more information about a personal relationship with Jesus Christ. 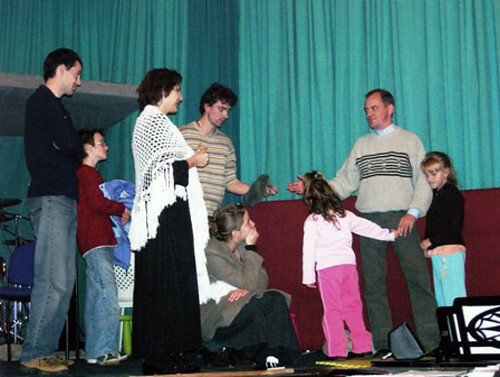 In the afternoon, we performed it on Zagyvaszántó in the cultural center. It was a bit difficult to get these kids involved, but we were thankful for the 14 kids and 8 adults that came to watch the show. They asked if next year we would be able to begin the show later so that more would be able to attend from preschool and elementary school. One older man who attended said that he was so happy to see such a show in his town offered us five bucks. Of course we didn't take it. We are kind of worn out because in the midst of this ministry, we are also helping with preparations for a three day musical to be held in Petôfibánya. This Friday, Saturday and Sunday we will present "An Underground Christmas" in the local community center. 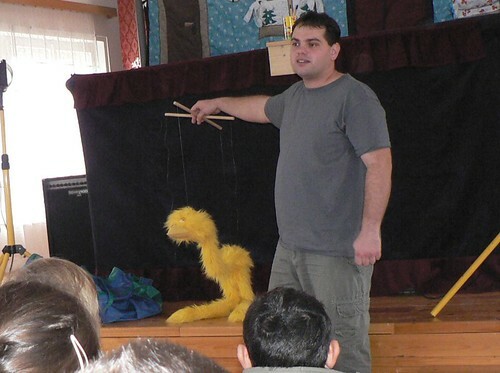 Because of this presentation this weekend, we will stop puppets until Tuesday. Please continue to pray for the Christmas musical that will be held this weekend, and also for those serving in the puppet ministry. Biopsy Results: Thank you for your prayers for Sharon. We received good news yesterday that there is no sign of cancer from the biopsy. The type of benign tumor she has does not indicate a threat of cancer nor increase the chances of cancer. We praise God for this good news and we thank you for your part in prayer. Above: Peter and Miki praying for Eszter after her baptism on Sunday. Eszter is due with her third child in January! 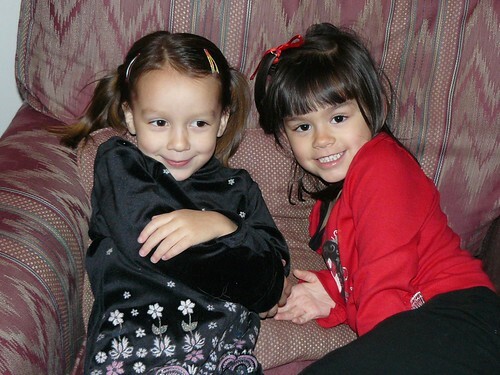 Teammate Brenda Herhei reports: "We had a baptism which we always hold at Miki’s house and it was just really encouraging. Peter (a traveling preacher who is with us every other week) preached a great sermon which felt to me exactly like what Jesus would say if He were here. It was a great combination of “you’re not perfect, you’re going to mess up, we love you anyway” combined with “press on, you can do it, live a changed life”. Several people shared their testimonies or words of encouragement from the week and it was just so good… like a real, live, growing body of Christ. We are far from perfect but there is some good stuff going on here folks. Praise God for how His Spirit is moving in Petofibanya! The puppet team reports: "We went to two preschools today. In Nagykökényes, 18 children greeted us. When the angel appeared in the midst of the puppet show, they called out: " Wow, it's beautiful!" At the end of the show, the kids joined in singing with us. "God is the One who is good." As we were packing up, the kids sang a song to us that their local priest had taught them. One of them spoke of peace being with us, and Jesus being with us. He really was with us! In Héhalom we presented to first and second graders. Even though we came at a time that went into their lunch break, they were kind enough to serve us snacks, ask lots of questions showing that they were pleased that we were there. The kindergarten teacher even helped with the packing. "You may turn to Jézus for help! He gave His life for you! He offers you eternal life If you believe in God's Son…!" It was great to see how much the kids payed attention to the good news of Christ. 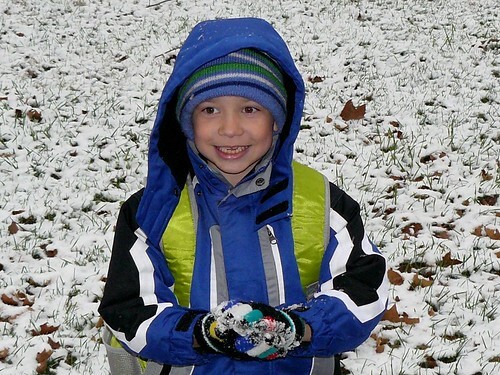 Above: Last week, Ben performed in his elementary school's "international night" by singing two traditional English songs. 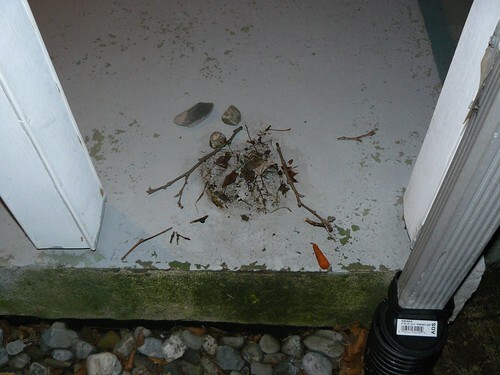 Above: Poor Frosty, or what remains of him. 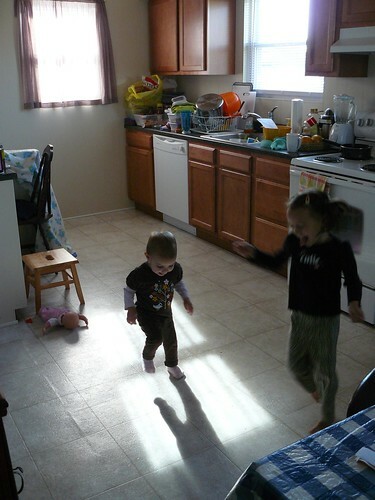 Above: Elianna and Kira enjoying dancing together with the help of their shadows. 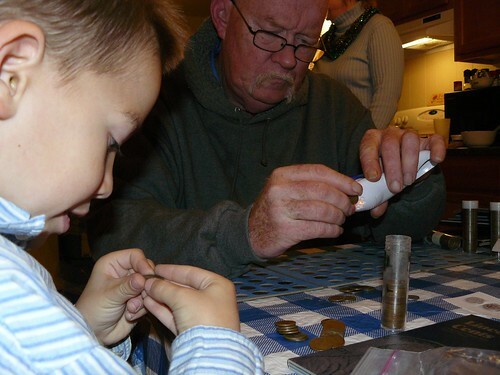 Above: Pop Pop helping Ben with his penny collection. 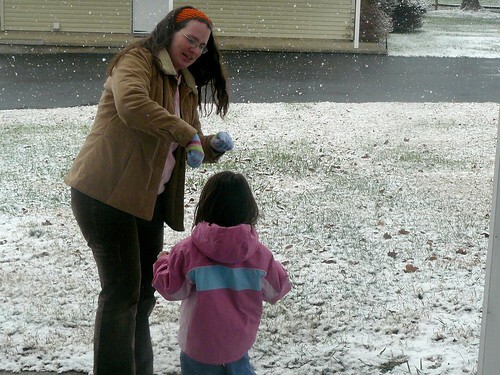 Above: Mom Mom laughing with Kira. • Puppet Ministry continues this week. Please continue to pray that the kids would not just hear but really understand the message that is being shared. • This Friday, Saturday and Sunday will be our Christmas musical in PetÅ‘fibánya. Please pray that the team would do a good job getting the word and tickets out this week and that many would come! This is a huge event for Pioneers teammate Julie and the volunteer cast members involved. Please pray that the Lord would bless their work and that they show would run smoothly so that people can really focus on the story and hopefully want to know more about a having a personal relationship with Christ. • Teammate Brenda has her last full week in Hungary before flying home for holidays. Pray for her to get things done in a timely fashion for her visit to the US. Above: Those serving in this the puppet outreach this Christmas. "This year, the number of those helping on our team has decreased. Heidi who was special and talented got married and now lives in Budapest with her husband. 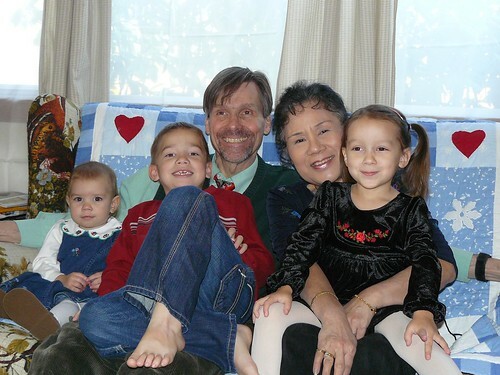 Allen and his family went to America for a time and we feel their absence. We didn't undertake a drama performance this year, but we are continuing with our presentation of The Gift of Joy puppet show. We began rehearsals in November with Brenda Herhei, Miki, Csaba, Janka, and a new sister in Christ, Hugi. We waited for the first Dec 6th show with excitement. We went to ErdÅ‘tarcsa first. We are already well known there. Those who showed up early waited quietly as we set up. The headmaster said that they kids had already been talking about the show before we arrived. Their gratitude and reverence were expressed once again to us. 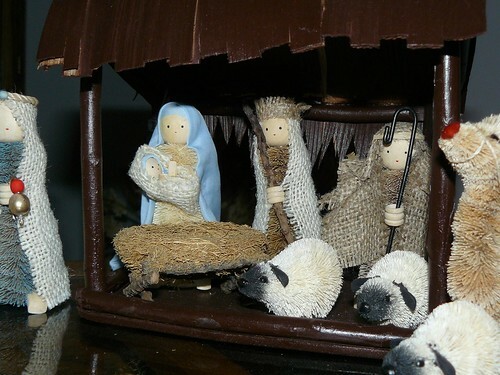 I was glad that once again the message of Christ's birth spoke: Even though Jesus was born in a poor stable, He was a very valuable person: God's Son, who really loves you. We also quoted Romans 8:32 from the Bible: Indeed, he who did not spare his own Son, but gave him up for us all - how will he not also, along with him, freely give us all things? 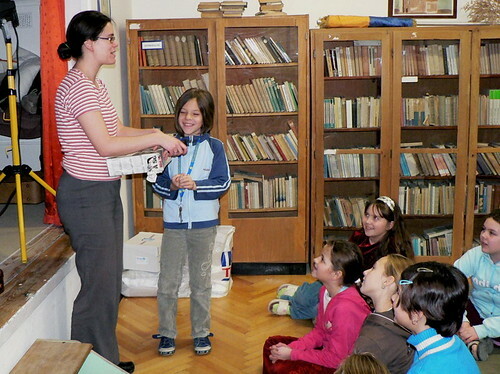 Above: About 170 children waited for us in Kálló. 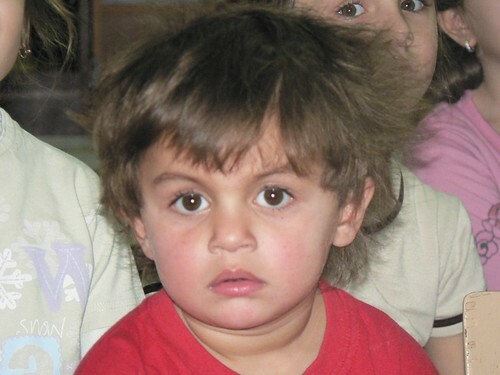 The majority are of Roma ancestry, needy and poor but very interested lovable and kind children. 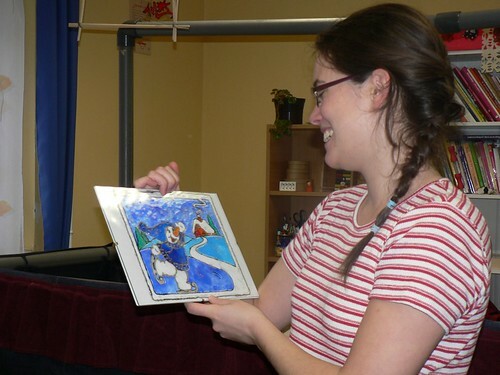 Above: The children were laughing when Miki brought out the ostrich puppet from Kenya and he made the children explain what snow was to the ostrich. Above: The God is Big song was sung enthusiastically by the children. It was encouraging to see many of the children's glimmering eyes. We arrived into the town of Hatvan being late in the morning. 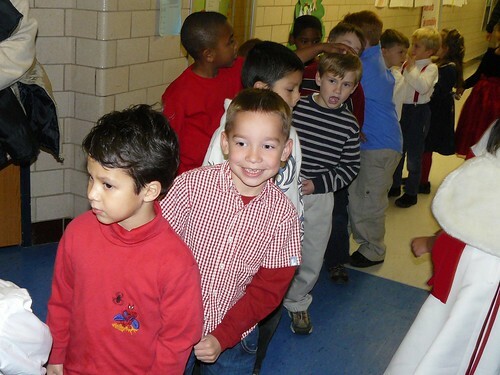 Furthermore, the teachers couldn't find the key to the gate, but the children were already waiting in the gym. Unfortunately in that time we were lacking peacefulness and unity. Even with these struggles, God blessed the performance. 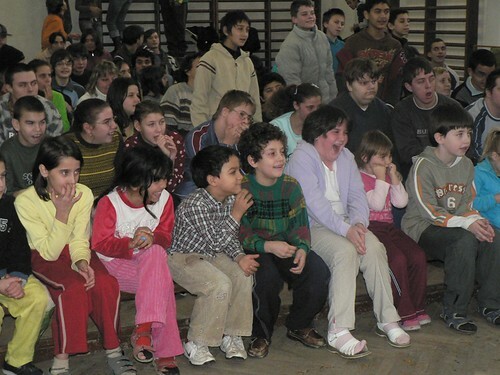 Up until this year, The Hatvan Puppet Team performed for this school, but allowed us to take over the responsibility. This open door was a direct result of Janka having a Bible class in Hatvan in the public school. Since the teachers new Janka, they allowed our team to perform. 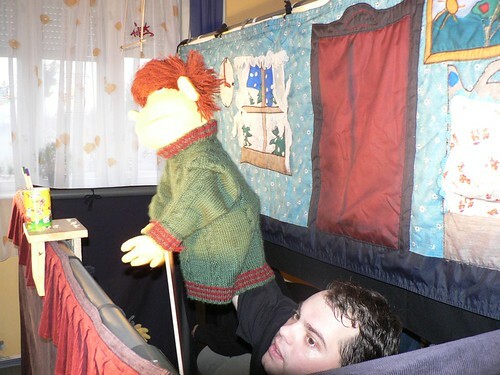 Teachers praised the message of the puppet show and we will have opportunity to return to this town in the future! 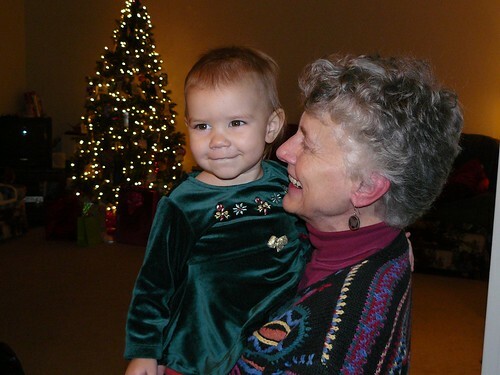 Biopsy: We appreciate your prayers for Sharon in this time. She had her biopsy on Tuesday and we will have the test results back on Monday. The doctor's initial observation leads her to believe that the growth is not cancerous. The results on Monday will give more definite answers. Above: Some pictures of the various schools our team visited last year for our Puppet Ministry. • Please also pray for Hugi, a member of our church, as she will be involved in this ministry for the first time. 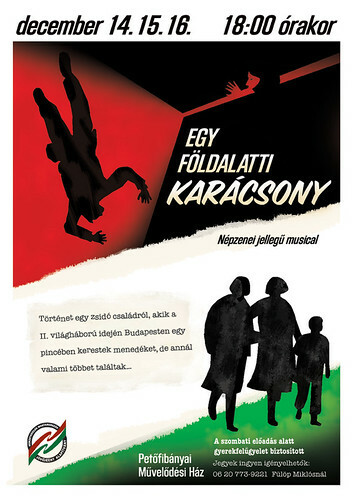 Above: A poster Allen was able to design for an upcoming "An Underground Christmas" musical to be held in Petôfibánya. "One of those details that God is attending to is the financial needs of the musical. Thank the Lord with us! Someone has offered to give a donation which would cover the remaining costs [of the Christmas outreach musical]! This is a great answer to prayer. Another encouragement we realized was that even though the musicians were not able to perform live as originally planned, having a recording done will provide a tool for other church plants to be able to reproduce this outreach in the future. It was inspiring to listen to Julie as she shared stories about how the Lord has been providing for the musical. She shared about one occasion when she went to a theatre in Budapest, walked through the doors where the workers usually go, and started negotiating whether or not she would be able to borrow some costumes for this play. After initial reluctance, eventually they were even showing her areas of their costume inventory that she hadn't asked for...all free for her use. 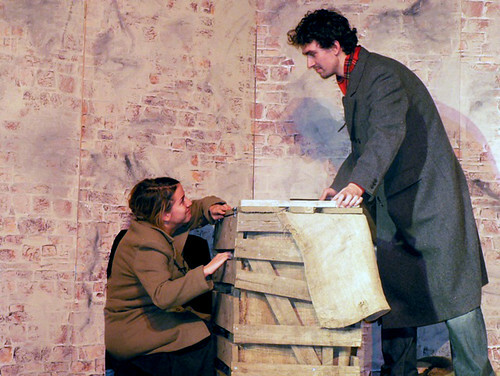 She also shared the storyline of the play, and it was moving to think about how tailored it was to the Hungarian heart, acknowledging historical wounds, and yet still challenging faith. We prayed that the Lord would use it to heal Hungarians who carried similar true-to-life kind of experiences as continued sources of pain or bitterness. We pray that they would know the hope of Christ instead. 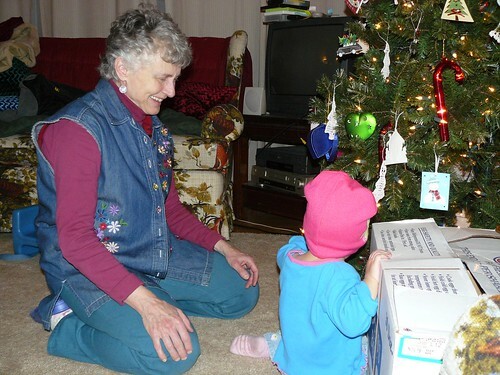 Family: Visiting small groups has slowed down in the month of December. 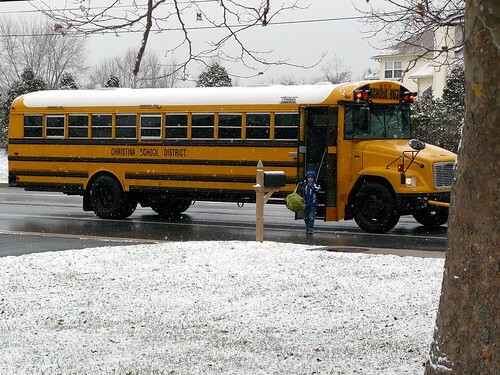 Many groups are in a state of transition or have difficulty scheduling due to the holiday season. We hope that this will change in January as we will be returning to Hungary January 30th Lord willing. Please pray that God would raise up more supporters and help us by returning to Hungary fully supported for sustained ministry. 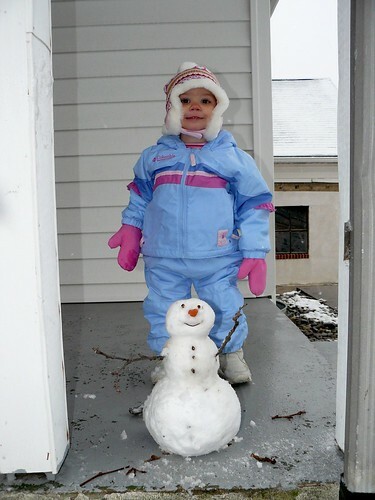 Above: We enjoyed the first snowfall in Delaware with pleasant enough temperatures to build a snowman and have a snowball fight. 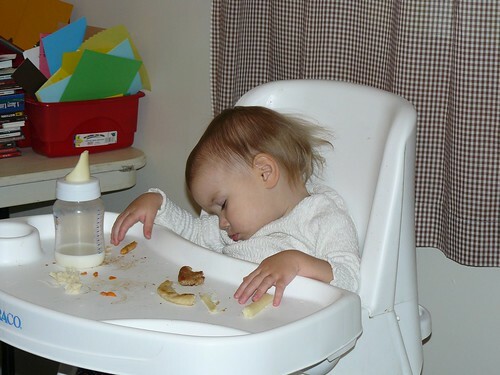 Above: Kira who has been fighting a cold, just couldn't hold off her nap and fell asleep in her high chair. She usually requests "Jesus Loves Me" before laying down in her crib and even attempts to sing along.